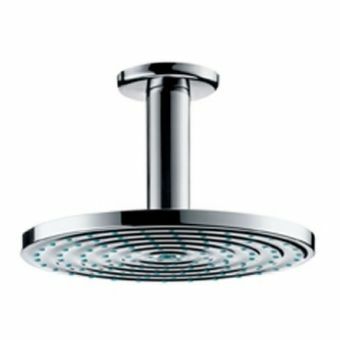 Cast in strong, bold angels and shining chrome, the Raindance Select E 300 3jet overhead is a striking showerhead and arm combination, perfect for the contemporary shower space, whether it be a walk in area, enclosure, or wet room. 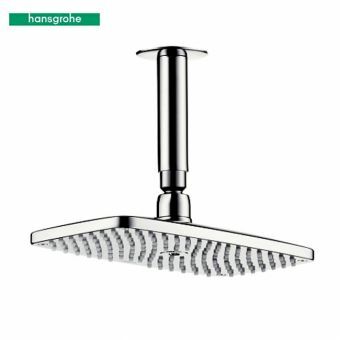 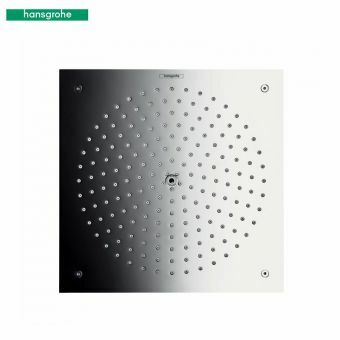 Measuring 300mm by 190mm, and with an arm projection of 390mm, this shower head array ensures a wide spray for a full, relaxing soak. 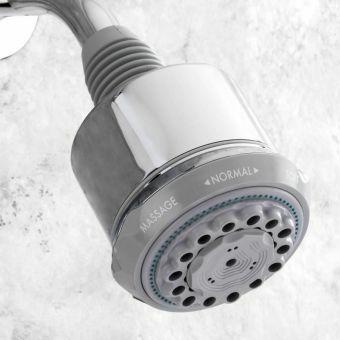 With three different settings to choose from, it provides a mix of shower experiences for different occasions. 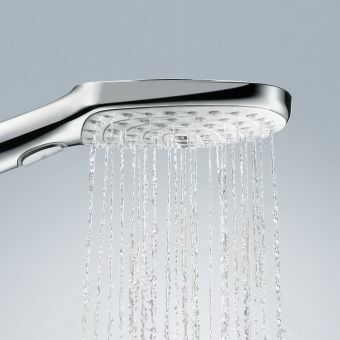 Relax in the unique water and air blend of RainAir, or enjoy the more intense Rain and RainStream sprays. 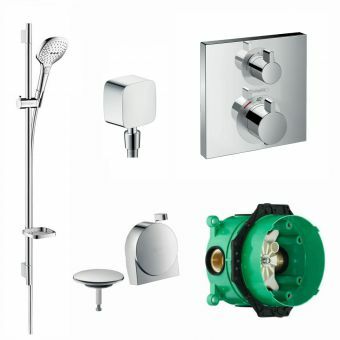 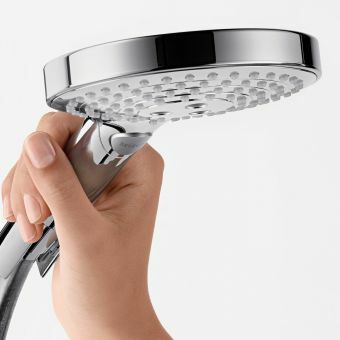 Changing between them is achieved via a simple select switch fitted to the showerhead itself. 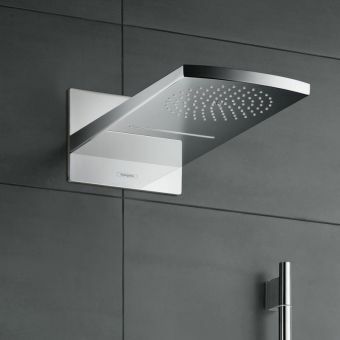 Spray surface is fully removable for ease of cleaning and maintenance. 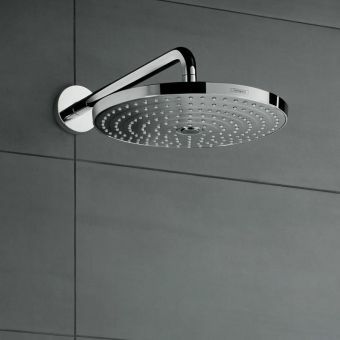 Finished in chrome, spray face can be available in white upon request. 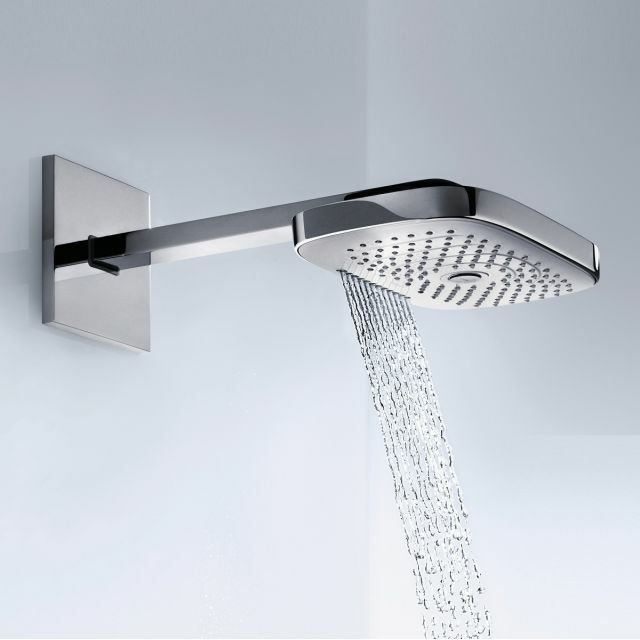 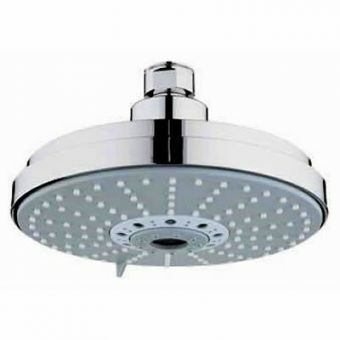 An ibox and shower valve is required to operate this shower head.